This year’s Ebony Ball was held at Regents Hall in the Lewis Towers. 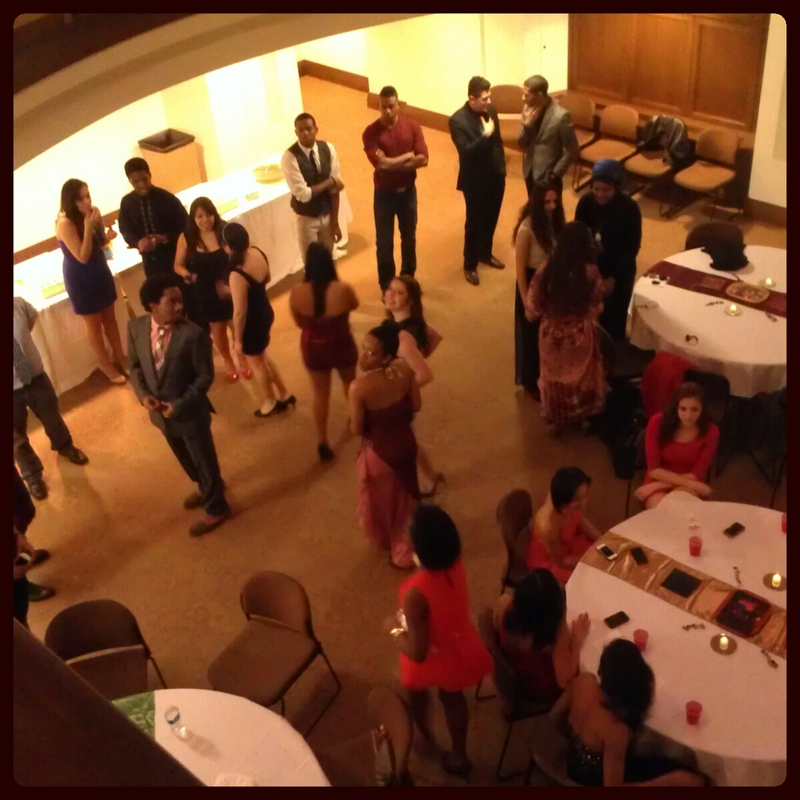 One of the last events for Loyola University Chicago‘s Black History Month celebrations was Ebony Ball. On Friday, Feb. 22, the Black Cultural Center hosted this formal for the first time at Regents Hall in the Lewis Towers on our campus downtown. As vice president, I had to oversee the planning and facilitate tasks to prepare for this fun night! With the theme “Our Shades of Beauty,” we sought to show the beauty of diversity by shedding light on how one should not be ashamed of the color of their skin. Our social chair, Marlena Ortiz, had the great idea of embossing images on to pieces of wood that are examples of our different shades of beauty. With the help of our other executive board members, each centerpiece and accent piece were crafted and painted by hand. There was great music from a student DJ from Northwestern University and I would also consider this year’s Ebony Ball as the most successful – especially with how diverse the turnout came to be. The students that attended had a great time! I hope that with events like these, my organization can bring the Loyola community closer together. Check out my first video news package! This semester has been quite a whirlwind! From classes to work and to participating in extracurriculars, I have hardly been able to take a breather; but I know that what I have been experiencing as a junior at Loyola University Chicago will be all worth while. This semester I am taking a course on technology for journalists. In this class, I have been exposed to and picked up general skills on software and equipment I may be using in the field. In the video above, I used a video editing program called Final Cut Pro. Getting used to this kind of program was interesting because it can be a bit more tricky than just using iMovie or Windows MovieMaker. I definitely will pursue getting familiar with this program, for it will come in handy one day. In the video I covered AfroDescent’s dress rehearsal before their first performance at the Taste of Africa Thursday. Another perk of living downtown is having the convenience of being able to walk just across the street for my classes. The School of Social Work is located in Lewis Towers, which is right above the Hershey store. The first time I went in there, the whole building smelled of chocolate. It was heaven! There’s a ton of classes offered downtown, such as business classes, some education classes, and social work. There’s also core classes offered down here, as well. 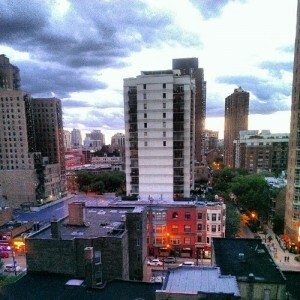 I would definitely take advantage of the city and schedule some classes down here! This is the view from my bedroom! This year I will be living in Baumhart Hall, which is located at Loyola University Chicago’s Water Tower campus. It is my first time living in this residence hall, so I am excited to see how different the dynamic will be from living on the Lake Shore campus for two years. Baumhart Hall is apartment style housing, just like Fordham Hall on the Lake Shore campus. This allows me to cook for myself again with a fully furnished kitchen and dining area! I cannot wait to try more of my mother’s recipes this year! I am living with one other person this year in a double, but Baumhart houses quads and singles as well. Living on Water Tower campus also allows me to take more classes required for my journalism major. The School of Communication is right across the street! 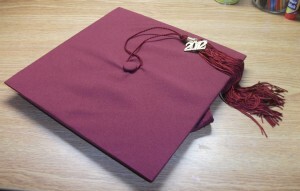 It will save me ample travel time as well as give me more opportunities to get to know my professors down here better. I am still taking two courses at Lake Shore, so the shuttle service will be just as convenient, along with the train and the bus stops that are nearby. My favorite grocery stores, Whole Foods and Trader Joe’s, are only a couple blocks away, along with Argo Tea and other ample eateries too. There are so many new places for me to explore while I am living down here by just walking around! Living in this new environment will definitely help with my growth as a third year student at Loyola. I am excited and prepared to see what else is in store for me this year! Twice a year, or each semester, the school holds a block party for the Water Tower Campus. They shut down the intersection of Wabash and Pearson. It’s pretty great. Normally, they grill out, have dessert, have a band and some promotional stuff. This semester, however, they really came through with great vendors. Along the sidewalks there was Qdoba, Potbelly, Taco Burrito King and Connie’s Pizza. There was also a photo booth that my roommate and fellow blogger Hannah Colborn took some really silly pics in. Good food, good times! Graduating that is! Today was the graduation fair at WTC, where the conquering graduate can purchase all the necessary frills and thrills that come with the passage of graduation. Like many of my fellow senior friends, I could not resist tearing open the neatly packaged cap and gown, promptly placing the tasseled cap upon my head. Living downtown affords many opportunities, especially celebrity sightseeing. Today was the third time I’ve seen E! host Giuliana Rancic, (also from Fashion Police) wandering about the Water Tower area. She was with her husband Bill, who went to Loyola. He was the first winner of the show The Apprentice. Once, I saw The Edge and Adam Clayton from U2. I was bummed not to see the rest of the band, but 2 out of 4 is not bad. 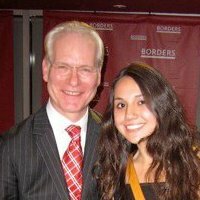 I also met Project Runway’s Tim Gunn at a book signing when Border’s was still around. I had a friend who worked at Border’s and she got to see Vince Vaughn, and he is also known to frequent Blackhawks games. I’m keeping my eyes peeled and my camera ready for more celebrity sightings! 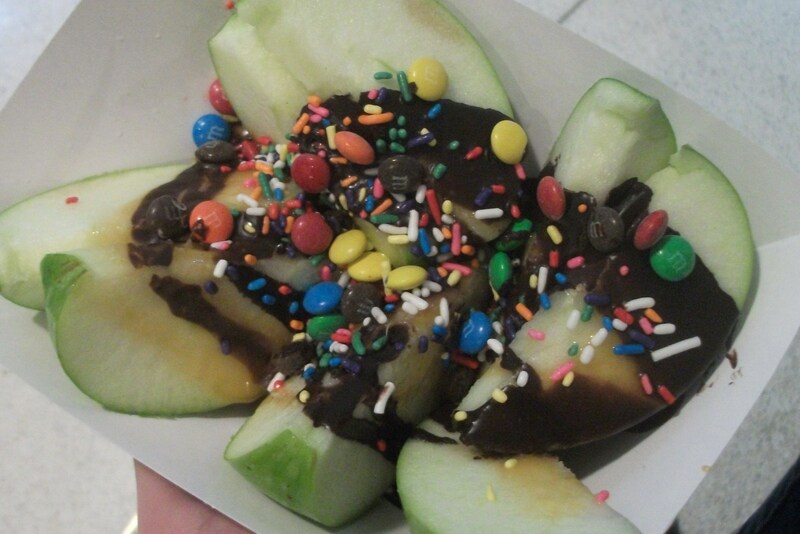 We’re not in grade school anymore, but that doesn’t mean classes won’t go on the occasional field trip. Today I spent the morning viewing the D’Arcy Collection at Loyola’s own art museum, LUMA. I’ve actually never taken the opportunity to visit the museum, located at the Water Tower Campus and conveniently right next to the Hershey store! It was a mandatory field trip for my Art History course, Picturing Women in Art. This is also a Women’s Studies, Gender Studies course. The focus of the course is women represented in art as well as women artists of the Renaissance and Baroque period. Today we observed some pieces that would be found in Renaissance homes, usually pieces that depict some type of religious or classical image or story. Right now we are discussing the rituals of marriages and how marriage chests, known as “cassone,” often had paneling painted to illustrate a story. This story was usually meant to serve as a lesson of virtues for the married couple. The points I’m trying to get to are: field trips are fun, and Loyola has many impressive resources to supplement learning outside the classroom. I will definitely be making a trip back to LUMA, which will soon be opening a new exhibit “Heaven and Hell,” which features self-taught artists and looks pretty interesting!